Where do we see the fatherless today? Blue Sky Ranch believes there is a large, under-served population of fatherless boys age 14 and up. We feel an urgency to stand in the gap for these young men. BSR does not romanticize the experience of Hope and Healing – we know it only comes when teens learn to trust, accept love, find their true God-given value, and experience freedom in Christ. This intense process requires months – even years of absolute dedication. Merle and Paul (Co-Directors of the program) share a passion to mentor young men and to recruit and train mentors. 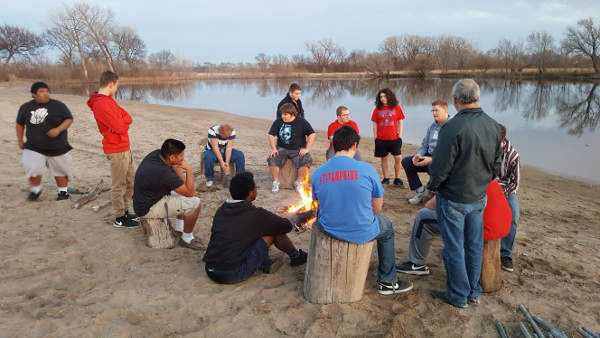 At Blue Sky Ranch we bring fatherless boys together with trained male mentors to build healthy relationships. It is our desire to show young men their ultimate father in our heavenly father. We strive to be godly examples of fatherhood so each boy can realize they can trust their heavenly father. Boys without fathers (or responsible fathers) are missing out on key development moments on their way to becoming men. A vital key to becoming a man is understanding true masculine qualities – not those sold through the media. These attributes are faithfulness, honesty, truthfulness, accountability, knowing hard work, and being able to test strength and fortitude. We focus on the fact that God has a specific purpose for each boy’s life and they can know Him and their purpose by having a personal relationship with Jesus Christ. 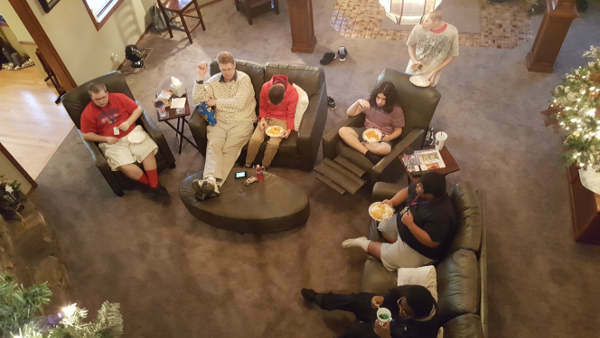 At Blue Sky Ranch we are able to utilize our facility to interact with young men in many different areas. We work on the ranch, engage in projects, participate in group Equine Assisted Learning, fish in the 7-acre pond, play games on the beach, ride horses, and camp. Our BSR Basic Training Mentor Program is growing and evolving at a rapid pace. ©2019 Blue Sky Ranch. All rights reserved.